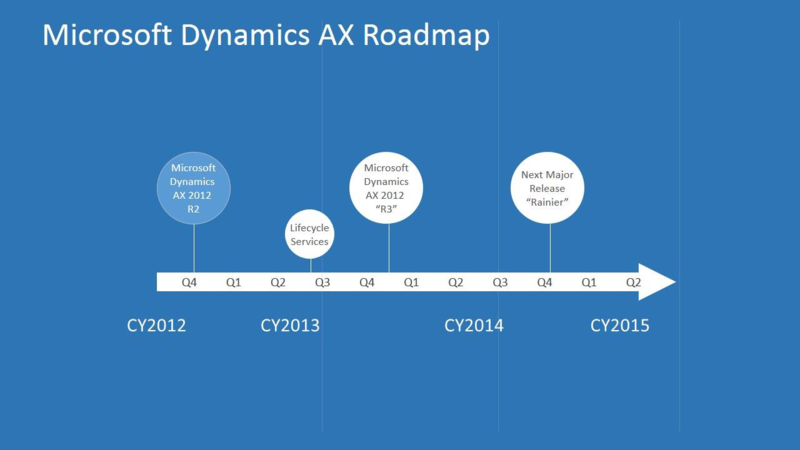 We’ve been speaking a lot recently about Microsoft’s push for “anywhere, anytime” and Dynamics AX ‘Rainier’ will be a big push towards that. In today’s ever more connected world, businesses and organisations of all shapes and sizes are searching for ways to increase their productivity by placing their customers at the center of their experience. The next iteration of Microsoft Dynamics AX, codenamed ‘Rainier (following a long line of eccentric Microsoft codenames)’, will be out in the first half of 2015, and will be an encapsulation of this ‘cloud-first, mobile-first’ philosophy. Understanding it will be crucial for those looking for Dynamics AX jobs in the future. ‘Anywhere, anytime’ and ‘cloud-first, mobile-first’ are the same basic thing: they encapsulate Microsoft’s central business aim to have all of its products and services operating in such a way that enables the user to have full access, regardless of where they are and what device they have access to. Whether the user is sat in front of a laptop, or a more mobile device like a smartphone or tablet, every conceivable configuration should provide the same excellent service. New generation user experience: The new, HTML5-powered front end of AS 2015 will be aesthetically pleasing, mobile responsive and context-sensitive. This means that it will be light, attractive, web-oriented and intuitive. Powered by Azure: A full cloud environment installation through AX 2015 will only take 60-90 minutes. ‘Rainier’ will place an emplasis on ‘what you need, when you need it’ by taking advantage of Windows Azure and Windows Server. Visual Studios and .NET framework: For the first time, the Dynamics AX developers will be working in Visual Studios under the .NET framework. This will drive consistency, experience and availability of development tools. Unparalleled Lifecycle management: Regardless of the method of deployment: cloud, on-premise, or hybrid. While improvements are still coming through for AX 2012, it’s clear that Dynamics AX ‘Rainier’ will be a marked improvement over what we’ve already witnessed. As the release of AX 2015 gets closer, it’s likely that a plethora of new features will be announced, all with the aim to drive an excellent user experience by implementing Microsoft’s cloud-first, mobile-first philosophy. If you’re a UK Microsoft Dynamics AX professional looking for a job in this ever-expanding industry, the launch of AX 2015 provides you with the opportunity to show off your knowledge and skills. So make sure you stay updated with all of the latest Microsoft Dynamics AX news here at Conspicuous. Tagged: Dynamics AX Rainier, Dynamics AX skills, Dynamics recruitment, Microsoft Dynamics.